Kahimyang, a blog dedicated to writing analysis and thoughts about different instances in history, recently released an article talking about how the Aquinos, former President Corazon “Cory” Aquino in particular, fabricated stories and news in order to further tarnish the name of the Marcoses. 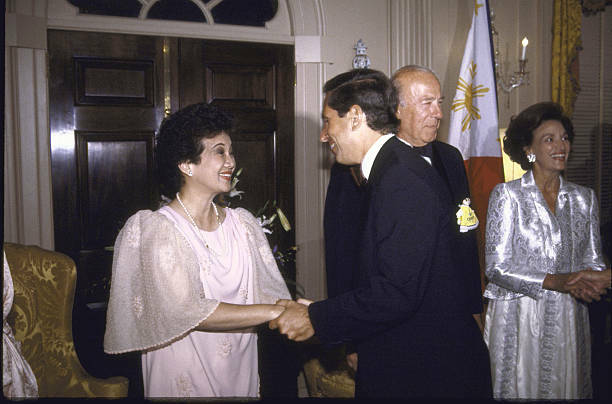 According to the article, Aquino was aided by US Democrat Congressman of New York Stephen Solarz in order to destroy the Marcoses. After Aquino met with Solarz in Manila to talk about the Military Bases Agreement, she issued Executive Order 2 that froze all the assets of the Marcoses and their associates. Solarz, as well, played his part by releasing Marcos document, a publication that exposed the corruption of Marcos when he went into a contact with 79 Japanese companies in order to fund Philippine projects. Because of the released publication, it prompted the National Revenue Board to go into an investigation. It was later found out that the document by Solarz was a hoax. A largest Japanese newspaper called Asahi Shimbun also ran a story discrediting Solarz. 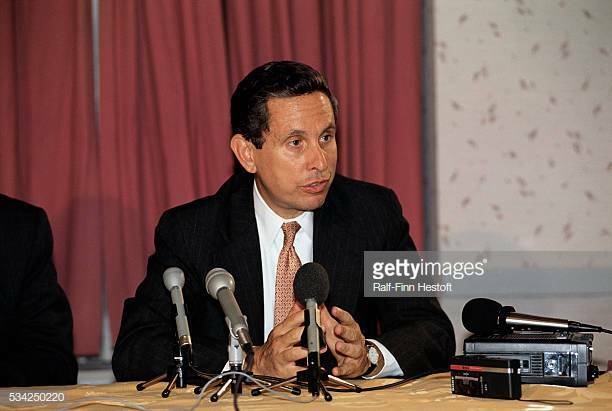 "The firms were never found to have committed any payoffs. The only firms that were mentioned by the NRB Report as failing to report income were Mitsubishi, C. Itoh, and Kawasaki, and the amounts involved were rather small. "On top of that, they all claimed that those unreported income had nothing to do with Marcos. They all said that technical interpretation of tax laws was the reason for the discrepancy. "Marubeni Corporation, which was known to have been the largest recipient of project-related business, was found to be entirely proper in its business dealing. The NRB could not find any clue or even suspicion of payoff to Marcos. "With the NRB's efforts, the ‘Marcos document' failed to turn up any incriminating evidence against Mr. Marcos. Formal investigation in Japan into Marcos corruption had now come to an end." Solarz however, was not moved by the article and chose to not release the findings of the NRB to cover his story. More than that, the article alleges that the Marcoses never got the chance to tell their story to the press. Cecilio Arillo also wrote a book describing how the Marcoses were persecuted and that they were allegedly maltreated by the government. They also do not believe that the Marcoses were capable of stealing money from the people. They said that the money the government had during the regime of dictator Ferdinand Marcos was less than the money that they stole. They also said that the national treasurer and deputy minister of finance at that time, Victor Macalincag, said that there was only P28 billion in the national treasury when Marcos was exiled. This, in contradiction to what was said by the Aquinos that the treasury was empty when she took over. Aquino then ordered the sequestration of all assets of the Marcoses without according them due process. Executive Order 1 said: "Vast resources of the government have been amassed by former President Ferdinand E. Marcos, his immediate family, relatives and close associates…”. The Supreme Court on the other hand ruled that there was lacking evidence to prove that the wealth of the Marcoses were ill gotten. 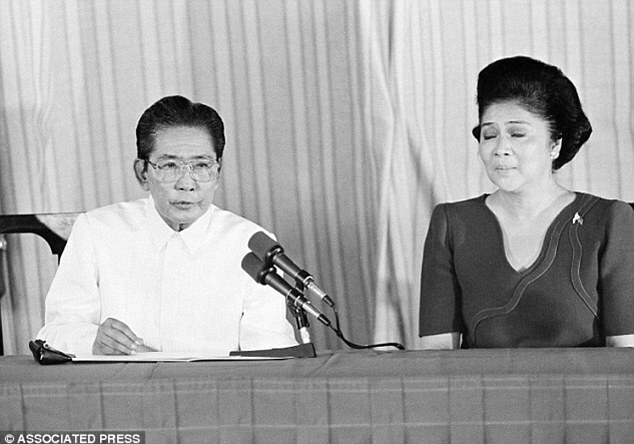 The US General Accounting Office also had their own probe, stating that the documents and actions of the Marcoses were justified and that there were no questionable transactions made. The Marcos camp, through Imelda Romualdez-Marcos, took the report to her side by saying that it was unfair that Solarz attacked them despite the conclusive investigations. "This report was never made public. Neither did Solarz submit his findings to the United States Lower House. "The accusations against Marcos continued in the American media based on the allegations of Solarz. Neither the State Department nor the appropriate Congressional committees made public their comments on the report, if any were made at all. The American media obviously did not request for a copy, or if they did, never released this to the public. Solarz of the US House Subcommittee on Asia and Pacific Affairs continued his attacks on Marcos, in spite of the US GAO Report." Even so, the Philippines still charged the Marcoses for stealing from the people. And in addition to this, the Aquino administration also authorized the United State government to file criminal charges against the Marcoses in America. Aquino also created the Philippine Commission on Good Governance that aimed to retrieved all ill-gotten wealth of the Marcoses. Imelda was even tried in court but was later unanimously acquitted of all charges against her. Ending the article, it said that the stories from the Aquino did not add up and that the Marcoses were only targeted to seek vengeance.